Our Mission Manager, Makoto Yoshikawa, has been chosen by the science journal, Nature, as one of the “ten people who mattered in science this year” in “The 2018 Nature’s 10”. Nature's 10 Ten people who mattered this year. Nature’s 10 is the journal’s annual list of ten people who mattered in science this year. Their role in science may have had a significant impact on the world, or their position in the world may have had an important impact on science. In ten short profiles we reveal the human stories behind some of the year’s most important discoveries and events. The Hayabusa2 Project is delighted and honored that their Mission Manager was selected as one of ten people who made an important impact on the scientific community this year. 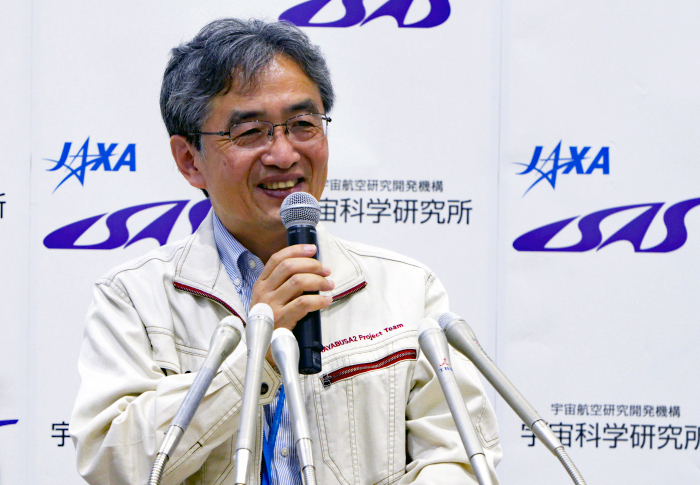 Mission Manager Yoshikawa’s impressions after being selected are highlighted in the ISAS / JAXA web release above (in Japanese). Here, we follow-up with a more detailed interview on how he now feels about being one of Nature’s 10. Q: What was your initial reaction when you discovered you had been selected for Nature’s 10? Q：Had you already had an interview with Nature? Yoshikawa: Yes, the interview had been in November over the telephone and via email. I was asked about the Hayabusa2 mission and what kinds of activities I had personally been working on so far. As there are occasions when you are asked for a personal introduction, I just thought I was dealing with a regular interview. Later, a photographer came to ISAS and took pictures, but I never at the time imagined any of this was for Nature’s 10! Q：What was the reaction when the article was published? Yoshikawa: I received messages of congratulations from many different people. Many messages came from the overseas members of the Hayabusa2 Project, which were a real pleasure to read. I also heard from people I had not had the opportunity to meet for quite a while. Q：Why do you think you were selected this year for Nature’s 10? Yoshikawa: I cannot really know unless I ask Nature for their reasons, but I think this had a lot to do with the results from Hayabusa2 this year. Since I was the Project Manager until the launch, I feel the current Project Manager, Yuichi Tsuda, and ISAS Director General Hitoshi Kuninaka, as the previous Project Manager, would also have been an appropriate selection for Nature’s 10. And in terms of scientific achievements, Project Scientist, Seiichiro Watanabe (Nagoya University), would have been very suitable. But of course, these are all successes that were only possible through the contributions made by all the Hayabusa2 Project Members. Q：So why do you think the Hayabusa2 Mission Manager was chosen? Q：Is publicity in English difficult? Yoshikawa: Yes, it can be. However, I have been working closely with Associate Professor at ISAS, Elizabeth Tasker, to share information in English. Tasker actually assisted in translating the Hayabusa2 website articles before moving to ISAS, but this year we have been able to rapidly translate into English and release articles almost at the same time as the Japanese articles. I think this is very popular with people overseas. In addition, Project Member Yasuhiro Yokota has been posting all the articles on the web and the JAXA and ISAS PR people are supporting us. Together, we have created a good engagement and our public relations work will continue. Q：What did you like about the contents of the Nature's 10 article? Yoshikawa: One of the overseas members of the Hayabusa2 Project, Stephen Ulamec from DLR (Germany Aerospace Center), commented that “They have a tendency to do bold missions, to take risks NASA would not”. 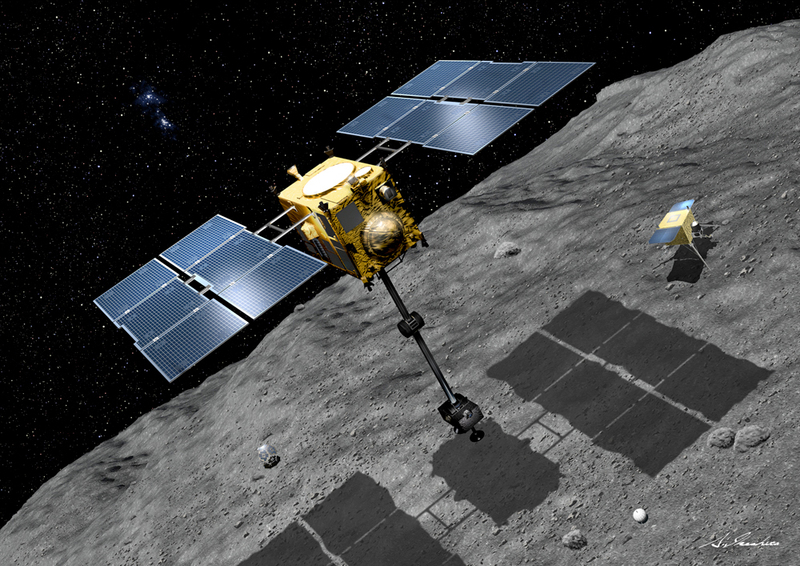 I think this exactly captures Hayabusa2, and I do not want this to end with this mission. Especially since it seems to be getting harder to fly a challenging mission these days. Another member of our overseas team, Aurélie Moussi from CNES (French National Center for Space Studies), commented that “He is the kindest scientist I’ve ever worked with”, which was too much praise. Q：The Nature's 10 article also mentioned your previous activities? Yoshikawa: That’s right. It mentioned about my involvement with Hayabusa and Akatsuki (JAXA Venus orbiter). I transferred to ISAS from the then Communications Research Laboratory (now the National Institute of Information and Communications Technology, NICT) in 1998. I am part of the orbital determination group at ISAS and I work on orbital determination for all Moon and planetary explorers launched by ISAS and a few Earth orbiting satellites. However, I did wish they had mentioned the Nozomi Mars mission. Nozomi ultimately did not enter a circum-martian orbit, so it is rarely mentioned, but it was also an amazing mission. In my case, I was deeply involved with Nozomi and Hayabusa, but during the Akatsuki mission, I have been principally focussed on Hayabusa2. Yoshikawa: When I think back, I remember I was struggling hard to start up Hayabusa2 and Marco Polo. In brief, we had proposed a version of the Hayabusa2 mission (reference 1 below) with a standalone collision spacecraft and additionally in collaboration with Europe, we were proposing a mission called “MarcoPolo” (reference 2 below). Neither of these proposals were realized. 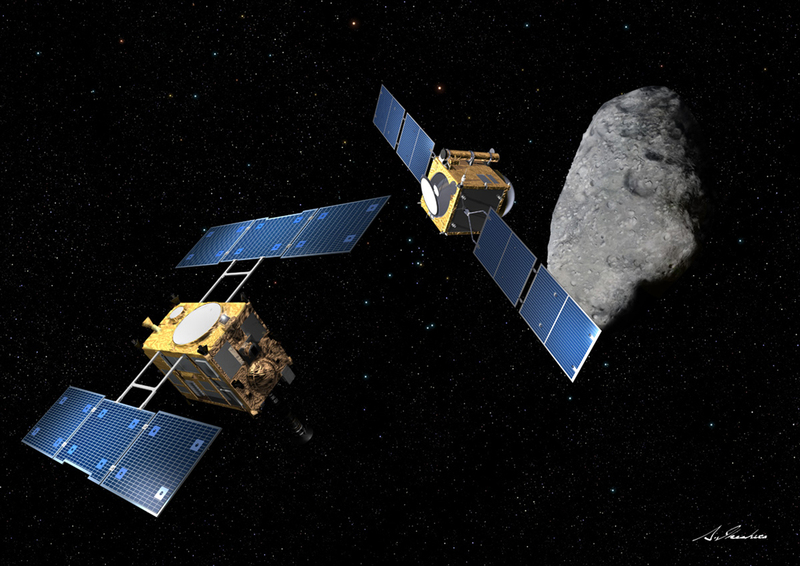 But it was not a waste of time, as these studies could be said to have led to the small carry-on impactor and the MASCOT lander on Hayabusa2. Q：Is there anything else you’d like to add…? Yoshikawa: In the Nature’s 10 article, I was delighted that they touched on “The Little Prince” at the end. Also, the last sentence that read “Asteroids are very small objects in the Universe — but very important for the future life of humans.” exactly summarises my thoughts. This is also the last Nature’s 10 in the Heisei period (the current era in Japan, which will come to an end in April 2019 with the change of the reigning Emperor) and my entry was last on the list. That feels a little emotional. Next time, I would like someone from the Hayabusa2 project to be listed at the top of Nature’s 10! But I am glad at the end of 2018, the world acknowledged Hayabusa2.